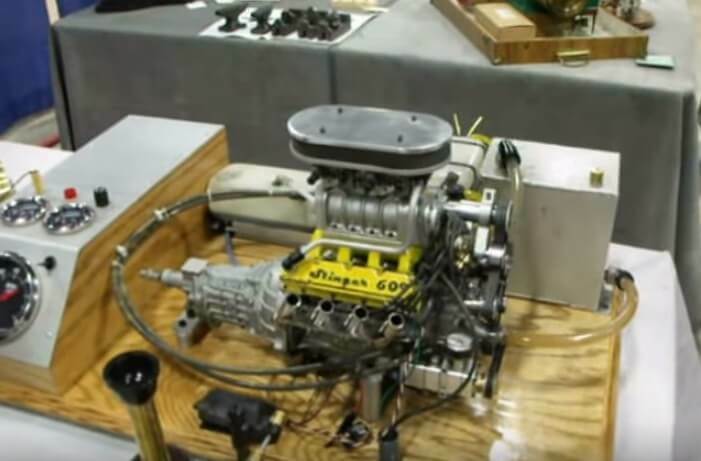 This is the world’s smallest 1/4-scale production V8 engine build by Gary Conley. Gary is a machinist and hot rodder from Glen Ellyn, Illinois, and his latest endeavor, the supercharged “Stinger 609,” is the first-ever mass produced miniature V8 engine. The Stinger 609 has a 100 cc displacement, and a power output of 9.5 horsepower at 10,000 rpm. The naturally aspirated Stinger 609 costs right around $5,700, while the blown version is available for $7,500. Gary’s first production run of 40 engines were sold out before they were even completed. The Ducati Apparel D-Air Safety Jackets Is What You Need When You’re Driving A Motorcycle! Classic vs Modern Comparison Test – If I Only Had Both! 1968 Chevrolet Chevelle SS hits a concrete barrier after a cool ride!